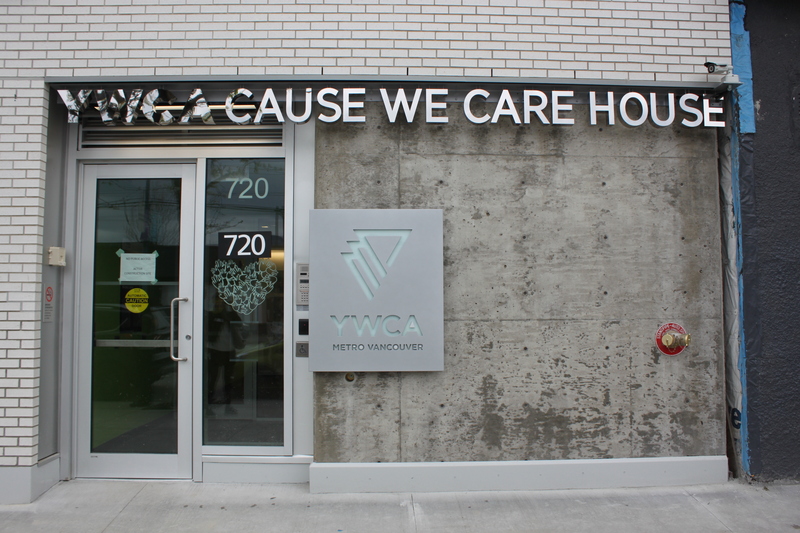 On April 19th, we joined our pro-bono client Cause We Care Foundation to celebrate the grand opening of the YWCA Cause We Care House and nə́c̓aʔmat ct Strathcona branch library . Leader donor Cause We Care Foundation contributed $1.5 million to the project, which was a $28.5 joint initiative between YWCA Metro Vancouver, the City of Vancouver, and the Vancouver Public Library. The project – at 720 and 730 East Hastings St. – features a branch library, community and family programming, and safe, affordable housing for low-income single mothers and their children. Cause We Care Foundation is dedicated to helping single mothers and their children in need in our community through a variety of initiatives. By providing affordable housing, nutritional support and funding for after-school and back-to-work programs, the organization is able to assist single mothers towards achieving financial independence and giving their children a better start in life. After a welcoming ceremony with aboriginal community elders; Founder and Chair of Cause We Care Andrea Hill, Mayor Gregor Robertson, VPL board chair Kayla Epstein and Jane Austin, CEO of YWCA Metro Vancouver took to the stage at the new library branch to unveil the project. The YWCA Cause We Care House showcases a partnership that has brought this new library branch and affordable housing initiative to life, after six years of fundraising. The library branch is full-service and associated programs can be accessed by all members of the community. Next door, the YWCA Cause We Care House is composed of 21 units of two, three and four-bedroom apartments. With 4,700 square feet of beautifully designed, functional living space, the building provides a safe and nurturing environment for single mother-led families. 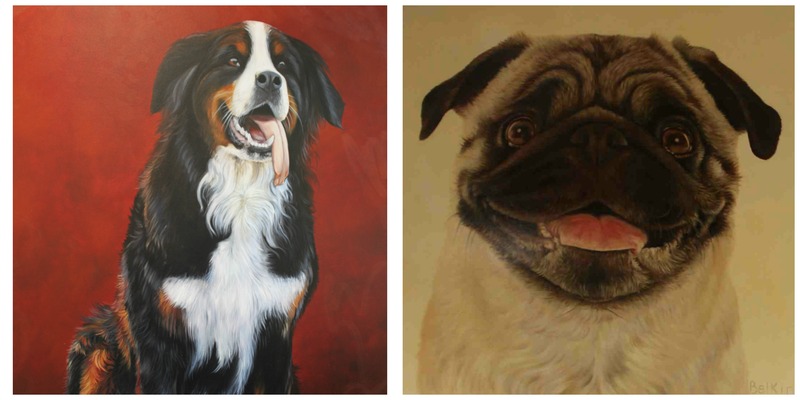 The walls are decorated with dozens of donated artworks (including heartwarming animal portraits donated by local artist Shannon Belkin) and cheerful furnishings, courtesy of Cause We Care donors. Complete with a communal living room, kitchen and children’s play area, an outdoor garden and playground, the space is perfectly designed for safe, communal and supportive living. Additionally, each unit has been provided with a thoughtful welcome care package for incoming families, filled with a range of essential household amenities and accessories to facilitate the move-in process, courtesy of Cause We Care Foundation. With stunning city and ocean views, the building is warm and welcoming, reflecting the time, capital and hard work that went into building it. Walking the halls of the Cause We Care House and exploring each unit is an eye-opening and uplifting experience. A brand new television, an Apple computer, chalkboard wall and a fully stocked book shelf reside in the shared living room, and budding fruit trees live in the terrace garden, so the units make up a creative and well-rounded facility. The building also serves to integrate families into the greater YWCA community. Tenants will have access to the many YWCA family support, healthcare and educational services, as well as employment training programs and shared office space. The project boasts a uniquely holistic and multi-faceted approach to community development that will help change lives for the better; one family at a time. It takes a very special group of people to turn a house into a home and a home into a community, and that is exactly what has been achieved here.